A lot of waste ends up in recycling bins and landfills on a daily basis. Most of this waste includes plastic, glass, metals, clothes and old household items. Non-biodegradable materials harm the environment and throwing them into garbage pits only dirtify the environment. Managing waste is crucial in making the environment greener. Recycling waste is fun. Turning your garbage and old stuff into something new and useful is awesome. There are many ways through which waste can be managed properly. Here are some of the most innovative waste recycling methods you can try. The kitchen is a major source of waste. Kitchen waste mostly includes food scraps and food leftovers. These are some forms of organic waste that can be used as a valuable asset in the garden. Organic waste decomposes quickly and can be used as mulch and compost manure for your garden. Other household waste such as old newspapers, cardboards, cotton and napkins can be used as organic mulch to protect plants from drying out under the sun, conserving water in the soil and eventually break down to feed the soil. Rather than throwing such waste into recycling bins and landfills, why not use it to make your garden more fertile. There are many types of plastic you can recycle. 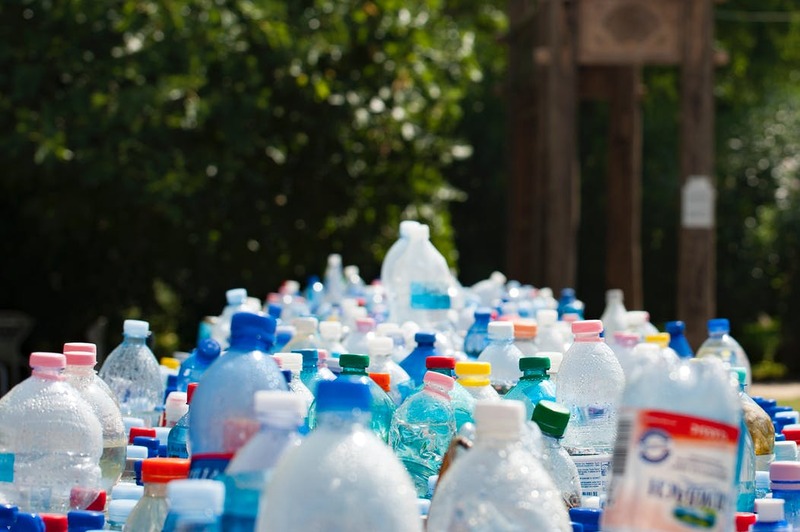 Plastic such as plastic bottles, utensils, containers, cups, toys, buckets and many more can be recycled. You can cut the bottom of plastic bottles and use them to plant seedlings. You can decorate your yard by plating flowers in plastic buckets. Vegetables can also be planted in plastic containers and you can use your organic waste to enrich the soil in the containers. This way, you will not have to burn or throw away plastic waste. Reduce your use of plastic water bottles by investing in a water filtering system and use glasses and mugs to drink water. Also, carry reusable water bottles on the go. If you must use a plastic water bottle and are unable to recycle it, ensure it ends up into a recycling bin for better waste management. There are many ways of recycling aluminum foils. Just ensure it is free from debris and clean. For instance, you can use an aluminum foil as a reflector. Simply place some foils behind plants that are growing under a shade to reflect sunlight on them. Aluminum foils can also be used as utensil sharpeners. Simply fold the foil over six layers to make it thick. Sharpen knives or scissors by cutting through the foil multiple times. An aluminum foil may also be used to clean jewelry. Rather than dumping an aluminum foil into a recycling bin, use it to clean jewelry and give them a new shiny look. All you will need to do is to line a small dish with the foil and add hot water and a powder laundry detergent. Then smirl your jewelry in the mixture for a minute or two. Remove it and allow it to dry. Crumpled aluminum foils can also be used to remove wrinkles and static cling from a dryer. Most people have moved from old music and movie systems to digital systems. CDs, DVDs and VHS tapes are some of the waste that ends up in recycling bins. You can use them creatively to avoid crowding dumping sites. For instance, you can make creative scarecrows using DVDs and CDs. They reflect light to keep critters and birds away from the garden. Art and craft centers also use them to make creative gift bag bases. Collages of reflective CDs and DVDs can also be made on the ceiling or wall. Old VHS tapes can be used to bind garden posts together rather than buying plastic ropes. There are many miscellaneous items that fill up office recycling bins yet you can easily recycle them into useful items. For instance, hair elastics can be used to bind creepers for supporting poles in the garden. Old jeans and clothing can be turned into useful bags, patchwork quilts, aprons and skirts. Toothbrushes and old mascara brushes can be used to clean small and hard-to-reach areas. Old eyeglasses can be turned into sewing kits. Although recycling bins are readily available in most areas, you can always turn some of your waste materials into useful items rather than throwing them away. If there are some items you can't recycle, check whether there are waste collection programs and waste donation centers in your area where you can give them away or even get a reward.